An attorney called me on a water damage case for a downtown historic building in San Francisco. His client had been damaged by water in her retail, wholesale, and storage area in this 1920 three story brick building on which seismic updates had started. His client was being sued for not paying rent on two floors of this three story brick building. We discussed my background. He was impressed with my experience in reviewing old historic buildings, conduction, feasibility and cost study. I had conducted many previous studies on similar buildings while I was VP and manager of design and construction for a development company. We had acquired a brick building quite similar to his client's San Francisco building constructed in the early 1930s. We had an architect design improvements to convert this historic building into a boutique office complex. The attorney who was listed as member of a large San Francisco Law Firm stated, as advertised, they had a construction division. We jointly met with the client, and I viewed a number of photos she had taken of the area of her building which had literally been flooded by water. She had also taken photos of the small atrium which was approximately over her sales area second floor. There was a small atrium and a skylight. At the time of the photo the atrium still had and inch of water as the floor drains were plugged with construction debris. At the time of her photos a portion of the brick wall was still opened near where a beam pocket and part of the steel structure had had been fitted with seismic ties. The wall had been opened up from the inside portion of the atrium, as the brick pilaster was part of the vertical support of the building, straddled the brick, and protruded both on the inside and outside of the building. The adjacent taller building was about 4 feet away and there was minimal clearance for repair crews to work on the outside of the building. The photos showed that both her retail space and the ceiling had been flooded. There had been a substantial amount of water that came from some unusual source. We agreed that the open wall quite possibly had let rain water enter into the atrium and could have been the source of the damaging flood. Next, I planned to visit the building and review plans and specification which had been prepared for seismic updating permit. The attorney handed me the plans. These were copies of the original construction permit drawing with notation to details for upgrading, with sheets of specifications attached to the plans. This is standard permit process for seismic upgrading. Part of the upgrading was the replacement of some rusted beams by a steel beam "x" bracing in the basement. The new steel structure would include seismic ties connected to the welded in place with gussets. plates. The attorney asked me to review the plans in detail prior to our meeting with the client. He wanted to see a list of all possible reasons for entrance of water. He felt the source was rain water entering directly through the wall opening. When we met on site, I made extensive reviews of the building, including the areas which had been flooded and all damage in the basement. The client explained that the basement did have the original drainage sump pump, but that the pump did not work at the time of the flood. She said that the basement had been flooded, and that the pump was replaced after the flood. ( She had the original pump at her new location, and she wanted me to see it; which I did after this visit.) After the flood, the water had drained from the basement via cracks in the floor and at pour seems that were below ground, basement walls were cracked, where the walls met the basement floor and foundation system. As this was on a hilly part of China Town the water had just drained out into lower ground. The attorney commented that I would probably discover in my reviews that the opened wall after a heavy rain was a source of water. Prior to leaving the site, I photographed all exteriors of the building which was on a corner lot. I noticed the close proximity of the adjacent building and photographed the sides of the tenant's building. Later, in my office, in reviewing the plans again and checking against the photos, I had taken, I noted that the permit had been obtained 2 years prior to the date of water damage. That meant that the permit was out of date, and that only a few inspections had been signed off. (approved by the City inspector) The fact that I discovered in my detailed review and photograph clearly showed that the added beams required by the seismic improvement had only been tack welded and that no additional welding with the addition of the gusset plates had been welded. The cuts on the beams had been made by an acetylene torch was specifically forbidden in the specification. These steel beams required to be welded and afterwards x-rayed to assure proper welding. When I photographed the exterior of the building, I used a ten power lenses and what I observed was the possible source of flooding. When the contractor had opened the brick wall he had disturbed the exterior piping for the roof drains. This old 4 inch cast iron piping was at the corner of the exterior portion of the pilaster and the wall. This type drain piping is standard for some older buildings in San Francisco. The joint was still opened and was above the access point that had been opened up for the seismic work. The break in the drainage pipe was above the seismic work over the atrium. This means that the water would have drained down the side of the building and entered the atrium directly though the opening of the brick wall that existed at the time of the flood. The wall had been closed up but the piping for the roof drain had not been reconnected. The contractor either did not know about the joint being opened or the joint had been reconnected only to become detached again. The water proofing of the atrium was tar paper which lapped over what was the top of the interior wall. The contractor may have penetrated the water proofing in several areas during work. The atrium filled with several tons of water, and as the drain was plugged, water then flowed down the interior portion of the brick side of the building. The water then drained down the exterior walls into the ceiling area where it caused damage shown in the client's photos. The water eventually drained down into the basement area. As I completed the list of causes of water damage, I e-mailed a copy of my report as instructed by the attorney when he gave me the plans. He was quite perturbed and said that he thought we had decided that the damaged had been caused by rain entering the opened wall, and that he would now have to disclose my information. I reminded him that he had asked for a list, and that I originally told him I would have to determine the cause of water damage as that was what I was hired to do. I also told him that the adjacent building was high enough to block any substantial amount of water from entering through the wall opening and told him that the cause he wanted to pursue would not be acceptable to opposing experts. The reason he was perturbed was that he probably did not easily understand my list of reasons for the water damage. Two weeks later, I was disposed. The Attorney was 30 minutes late for the deposition. I was on time, and the opposing counsel and his expert were present. They said that this attorney had been late at other depositions. Finally, when he did arrive, we proceeded. I felt something was strange as he was very passive. He told me after the deposition, he thought we had agreed to the cause of the water intrusion. The next day, I called his firm and found out that this attorney was actually an attorney they had hired for Intellectual Property work , and that he did not have a construction background. The timing of the case was about 2 years prior to the dot.com bust in San Francisco , and felt that they had assigned him this case as a fill in. In retroflection, I feel that he just wanted to settle out as fast as he could so that he could proceed with his IP work. When I called about payment for my second invoice, he said that I should "forget that" as he was not going to pay the invoice because the case was settled, I had made more money than anyone else, and the settlement was very "small". I reminded him that the seismic upgrades were never completed, there was possible criminal activity as the structure had been weakened by incomplete structural bracing, and that would have been enough to justify the tenant moving out. He agreed, but it was clear that he did not care. I determined that there were many lessons in this for me, and one was that I should know the background of the attorney, and I should not work on construction issues unless the attorney understands the importance of construction details. I also determined that I would rather work as a consultant on cases rather than being restricted by disclosure rules. And lastly, as this was one of first cases in working with an attorney in defect work, I learned that experts and consultants should work only with an up-front retainer. I look forward to the change in the disclosure laws as providing more promise with discovering and discussing construction defects and construction accidents with attorneys that hire me. Jerrold Sullivan, B.S. Engineering, has over 45 years of hands on experience in the supervising and managing of site, infrastructure and building construction. Throughout this time, he has worked within the legal field providing investigative analysis, reports, and depositions of Construction Defects and Accidents of Site and Building Projects. 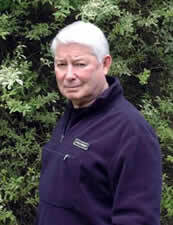 See Jerrold Sullivan's Profile on Experts.com.